The Principal Musician provides live music for ballet and modern classes, using piano, electronic keyboards, percussion, voice, etc. 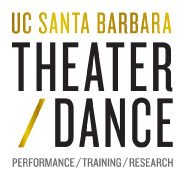 Recruits, hires, coordinates, and trains dance musicians, and collaborates with dance/drama faculty regarding classes and productions. Serves as Music Director and Composer for the Dance Division. Assists in coordinating dance budget, making recommendations for instrument (and audio-visual equipment) purchases, maintenance, and repairs. Often composes and plays for theater productions, with the approval of Dance Division Director and Theater and Dance Chair. Patrick Lindley received two masters degrees in harpsichord and musicology from the New England Conservatory of Music, Boston, Massachusetts. He was the first harpsichordist to receive the prestigious Beebe Award for European study/travel, where he studied with Nadia Boulanger (Paris) and Gustav Leonhardt (Amsterdam) and has played recitals throughout the U.S. and Europe. Also an accomplished pianist and composer, he is currently Principal Musician for the Dance Division, and has composed music for several drama productions for the Dpeartment of Dramatic Art. Lindley has collaborated with both ballet and modern teachers from most major U.S. and European companies. He has composed film scores, choral music, keyboard works, and has had several multimedia works premiered by UCSB's prestigious C.R.E.A.T.E. concert series. He has taught harpsichord performance practice to doctoral condidates for UCSB's Music Department, as well as playing solo harpsichord recitals. For the past three years he has directed, and performed in multi-disciplinary improvisation concerts for the Primavera Festival.